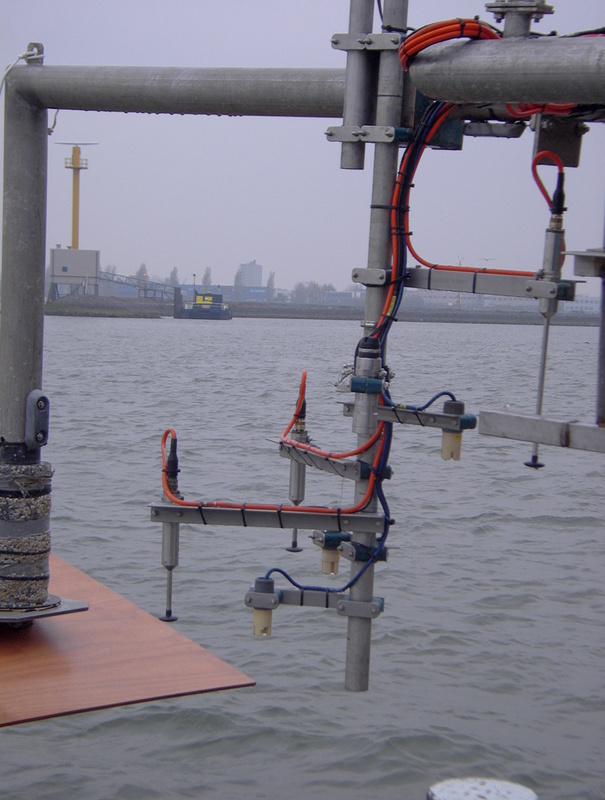 Deltares develops custom-made instruments for measuring quantities in water and in water mixtures, both in experimental hydraulic facilities and in the field. The typical quantities measured are the water level, water velocity, bathymetric elevations, flow velocity, silt concentration and silt transport velocities. In the case of most quantities, we have instruments that use different measurement principles so that we can deliver the optimal measurement solution for the circumstances. Because we apply the measurement techniques in our own physical modelling projects, our systems are robust, accurate, and easy to use. We supply our instruments to our customers, who include other laboratories, universities and engineering consultants. The instruments are built and calibrated in our own workshops and they can be adjusted to suit the circumstances. 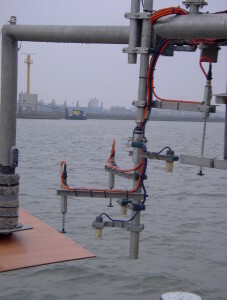 Our most recent achievements are a silt profiler for measuring the extent of dredging plumes, a measurement station for determining wave height and direction, along with wind speed and direction, and a measurement station for determining ship-wave dissipation in vegetation. We have developed electromagnetic velocity gauges that are sold worldwide. They measure the velocity of the water itself (without adding any seeding) and produce robust results. Our world-renowned resistive wave gauges are equipped with reference electrodes so that the calibration does not change with the conductivity (or temperature) of the water. Re-calibration is therefore seldom necessary. The gauges, which were adapted for use in the new Delta Flume using titanium composite wires with optimal electrical and mechanical characteristics, are minimally intrusive, they produce robust signals without outliers, and they have excellent linearity over an eight-metre span.